Next time your teen starts, well, acting like a teenager, don’t send them to their room. Send them to the mat! There’s now scientific research to prove yoga can even help teens. This new finding from Harvard, published in the Journal of Development and Behavioral Pediatrics, should come as no suprise to anyone who has ever experienced even an inkling of the benefits of yoga. We do yoga to calm the fluctuations of the mind. By doing this moving meditation, by breathing, by opening our bodies, and by opening our hearts, we focus on the present moment and learn to find strength in difficult times and be okay with where we are at that moment. Let’s face it, being a teen these days can be hard. There’s the instant gratifaction teens seek thanks to social media and devices that keep them connected at all times. They’re bombarded at every turn with images and messages to be a certain way in order to be ‘good enough’. And, these days, they’re not even allowed to be kids. It used to be that the teen years were about enjoying life, having fun, hanging out with friends and finding yourself. But, these days, teens are expected to do more and be more before they even know who they are. It’s enough to make even adults stress out. In the Harvard study, 51 11th and 12th grade students in Massachusett went through a Kripalu-based yoga program doing physical postures, breathing exercises, meditation and relaxation exercises two to three times a week for 10 weeks, while another group just did regular PE. All of the teens went through psycosocial testing before the study so researchers had a baseline of what they were up against. After 10 weeks, they completed the same tests. In the end, the students who went through the yoga traning said they were less moody, less stressed and less angry than before they started practicing. Turns out, the ones who went through regular PE classes actually showed worsening mood and anxiety. As an added benefit, around75 percent of the teens who took the yoga classes said they liked the practice so much that they planned to continue doing it. Researchers say they’d like to see larger studies conducted to substantiate these findings, but they are optimistic about the potential. In Manatee County, a new school could actually put this theory to the test. The girls-only charter school, called Just for Girls Academy, is planned to open its doors for the 2012-2013 school year and part of the curriculum wil involve teaching the young girls yoga to help them deal with stress. The school will start with grades K-3 and will eventually go up to 8th grade. And, there’s one thing we do know, it certainly can’t hurt. One look at the shelves at any vitamin-type establishment, from Whole Foods to the Vitamin Shoppe, and there’s no question that people buy protein powders by the bucket load. Have you seen the size of some of those buckets of protein powder? You need hulk-size hands to pick them up. For some, whey is the way to go. But, there also seems to be a growing number of vegan options coming to the market. I am beyond picky when it comes to protein powders that I will use. My go-to is generally Vega. Not only does it taste really good – either with water or with almond milk – but it is so clean and so pure. It’s rare that there is something in this category of foods that meets my standard of what it can/cannot have in the list of ingredients. Yesterday I may have found another one that gets my seal of approval. They were sampling it at Whole Foods and, dare I say, it seemed good — and inexpensive! The brand is PlantFusion and the rep at the sample table explained to me that they recently changed their formulation to use quinoa as the primary source of protein in place of brown rice protein. Quinoa has nine essential amino acids, which makes it a complete protein – which is a claim not a lot of plan proteins can make. That means it gives you the proteins that your body can’t necessarily make itself. As for the reasoning behind switching from brown rice protein to quinoa, this was based on some controversy in the news about findings of arsenic in rice and brown rice syrup. The problem it seems is that arsenic is in the ground. Rice grows in the ground. Rice is absorbant… you see where I’m going with this? So, not surprisingly, these findings sent shockwaves from people who consume a diet high in rice and rice products, i.e. rice protein and brown rice syrup. The reality is that unless you’re consuming tons of rice, you’re probably ok. But, kudos to PlantFusion for looking for a safer alternative, and, in the process, finding one that’s even higher in protein. PlantFusion is vegan, soy-free and gluten-free. 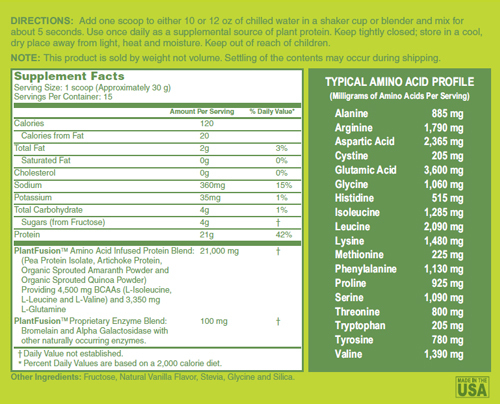 It has pea protein, artichoke protein, sprouted quinoa protein and sprouted amarinth protein. Each serving has 21 grams of protein, but there are 4 grams of sugar, some of which does come from sucrose, although it also includes stevia as a sweetener. One other downside, it is lacking in some of the other ingredients I look for in my protein powders, including greens and probiotics – although it does have a digestive enzymes to make it more tummy-friendly. 2. it was significantly less expensive than some of the competition. I would definitely give a thumbs up to PlantFusion! I had such high hopes for Poser. True, I was at a very different place in my life than Claire Dederer – she being married with kids, me being totally single and kid-less. Still I felt like I was going to be able to relate to her. After all, I was about to go through yoga teacher training. I was excited about yoga as a new found love, a friend who would be there on bad days and a friend who would challenge me and push me to be a better person. Based on the description, I won’t say Claire and I were two peas in a pod, but at least two beads of the same mala string. At first, I really enjoyed both the personal memories and the yoga tales. I shared in her successes on the mat along with her struggles, her emotional breakthroughs and sometimes the resulting breakdowns. More than anything, I was intrigued by the way she connected changes in her life with the postures from her practice. Somewhere along the way, though, she lost me. It started to feel forced. There was no relationship between the yoga and the stories from her life, or if there was, it was lost on me. It was more like two different books that somehow were bound together…. one about learning yoga; the other a memoir of a woman raising her kids and holding on to her marriage while going through changes that had her questioning various aspects of her life. At some point, I gave up. The story line wasn’t strong enough to make me care anymore what happened and the yoga connection had been reduced to a few pages in each chapter that felt forced. One day I may pick it up and try to get through it again, but for now, Poser sits on my nightstand, which, is at least better than being relegated back to the book shelf in the other room. After all, the yogi in me is curious to find out which postures she did end up mastering as she worked to find the same balance and grounding in life that she was finding on the mat. Oh, avocado. How I love thee. You just make everything better! Seriously. I love avocadoes. I mean really love avocadoes. Even something as simple and basic and, dare I say, boring as brown rice gets kicked up a few notches when you add avocado. And, if that avocado just happens to be mixed with cilantro, lime and garlic, well… it’s a whole new ballgame! I even have a Pinterest board dedicated to avocadoes. I honestly find myself just looking for conduits for the divine and savory green fruit. And, in case you were wondering, yes, it is considered a fruit based on the fact that it grows on trees and has a pit. Some days just a piece of toast with slathered smoothy goodness is all I need. Other days, a few nice slices give a boring veggie burger a boost. And, have you ever tried a slice of tomato with a wedge of the big A and a shake of salt and pepper? Happiness in a bowl. BUT, to top it off.. the piece de resistance… a drop-a guac-a! The previous night’s avocado creation is also well deserving of a shout out. A refreshing use of something so savory. 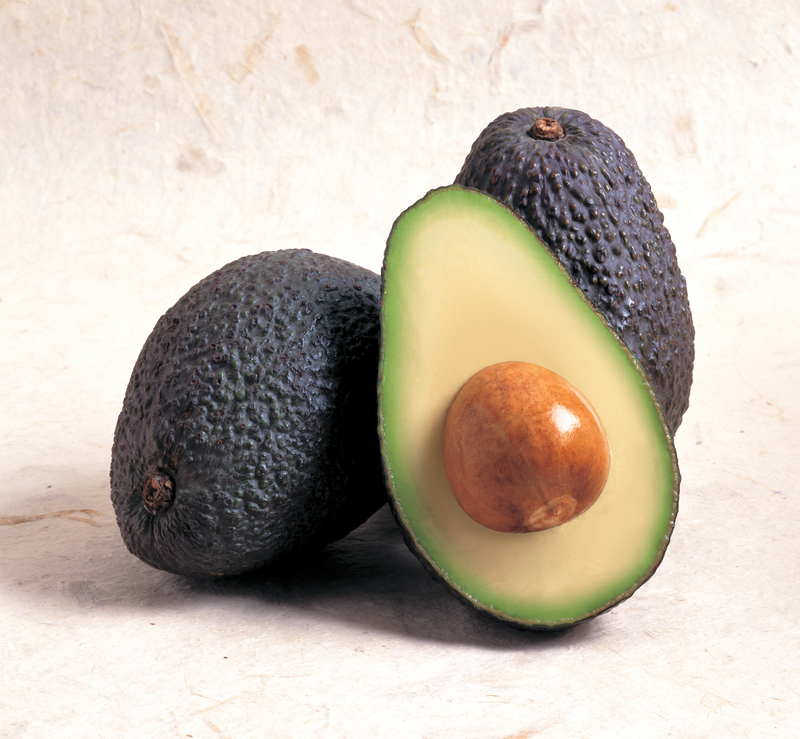 Avocadoes are also great to add to smoothies to add creaminess and a bit of fat that will keep you satisfied. I particularly like them with my protein powder, Vega Vanilla Chai. Yes, I said it . Avocadoes have fat! Don’t go running way screaming now, it’s GOOD FAT. And, they also have about 20 vitamins, minerals and nutrients. You can read more about the breakdown here thanks to the California Avocado Commission. That’s why they can be great substitutes for butter or shortening in some baking recipes. Rumor has it they also freeze well if you mash them first. Heart openers are a powerful thing. When your heart is open, you can let love in. But just opening the heart isn’t always enough. Once the heart is open, the next step is to allow yourself to breathe into it – or, as I learned from Elena Brower in a YogaGlo practice tonight, you can breathe “behind it”. 1. My internal state was in a state of turmoil today. 2. “Soft” wasn’t necessarily what I wanted, but “soft” was what I needed. Even as I selected that practice, I questioned if it was going to be effective. I mean, I know doing some practice is better than nothing, but would I achieve the calm I so desperately needed today? Should I have raced to get to a class? Should I do a flow? Should I do the ashtanga series I was so familiar with? Should I just throw in the towel and have a glass of wine instead? Questions, like ripples on the water, kept popping up. One after another. Despite my racing mind, I rolled out my mat and pressed play. We started moving, started focusing on alignment, and, thankfully, started breathing. But this wasn’t just any breathing. It wasn’t just about opening the chest, expanding the ribs. We were breathing behind the heart. We were pulling the shoulder blades into the space and we were feeling the breath in the space behind the heart. We moved through upward facing dogs, drawing the chest forward. We moved into Utthita Parsvakonasana with the bind. We did Kapotasana (pigeon) in a way I’ve never done pigeon before, lifting the heart, aligning the hips, and holding it before folding forward. Breathing this way, was about more than “relaxation.” With it came an acceptance of myself for who I am, where I am. I accepted the challenges, and I accepted that tomorrow is another day. Most importantly, I accepted that through this practice, through the constant reminder to breathe this way, I could be a better person for those around me. This, to me, is why we do yoga — or at least part of the reason. Life is hard. Some days life can be really, really hard. But we are not defined by the challenges we face, instead we become who we are by the way we handle those challenges. We can let them crush us and make us doubt ourselves and our abilities. We can feel like we’ve been punched in the gut and walk around looking and acting like we’ve literally been sucker punched. Or, we can open our hearts and we can breathe into the space behind our hearts, and we can face challenges head on. With our hearts open, and our hearts strengthened by the breathe and the posture, we are better able to react and we are better equipped to move into the fray with confidence and fortitude. It’s like when someone throws a ball to you. If you’re hunched over, head down, arms dangling at your side, that ball is probably going to smack you, and unless it’s a Nerf ball, it’s going to hurt. Stand tall, fellow yogis. Create the space your heart deserves so it can be full and can share peace and joy with those around you. And, btw, a nice bonus, I did the strongest headstand I’ve ever done!!! Thanks, Elena!! We talk about heart openers all the time with postures like camel, bridge or wheel, even crescent pose with arms lifted or upward facing dog. They all expand the chest, but for some these postures can be downright scary and difficult. While not necessarily physically challenging, they can make us vulnerable, which can be hard. Think about how you sit or stand when you’re upset or sad…. Head down, arms crossed, shoulders folded in, everything tight around us. It’s a form of protection. If we’re closed off, no one can hurt us. We don’t even have to think about it. Our bodies just go there intuitively. Of course, the great irony here, the same body that think it’s helping us by getting into this position, is also making it harder to breathe. If everything around our chest is tight, we end up taking short shallow breaths instead of the long nourishing breaths that help us cope. By doing heart opening postures, we essentially peel off that protection, allowing ourselves to be exposed, allowing ourselves to be vulnerable. But, by doing so, we can then can strength to move forward because it’s only when you allow yourself to feel that you can move past the fear and the upset can we get stronger and more confident. In the past two days, I’ve done two classes with two teachers, both of whom directed our attention repeatedly to opening the heart. I can tell you that I, for one, needed this. I actually had physical pain when trying to open my heart because in the past few months I’ve allowed it to be so closed off. I’ve created a cement wall around my heart – barbed wire and all – and opening it again is not easy. But, I have actually noticed a physical and emotional difference by doing the postures and by really focusing on the heart throughout the asana practice. By opening the heart, not only are we inviting in more oxygen, more blood, but we’re opening the chakra and allowing energy that was once trapped to flow more freely. It’s important, when you do heart openers, to both do counterposes, and to protect the back. Make sure your tailbone is tucked under so it’s just the upper back that is curving and listen to your body at all times. Stop if there is pain. And, after doing a heart opener like bridge, allow your body to recover with child’s pose or paschimotanasa. I’m not implying this is easy. It can be both physically and emotionally challenge. There’s a risk that emotions that have been tucked away are now able to come to the surface. Once again, though, it’s all part of the journey we call life. There’s nothing like hearing your one of your favorite chants being sung by a beautiful and melodic voice to really get you to slow down, turn inward and really enjoy your practice. That’s what Deva Premal and Miten did for me today. I don’t normally practice with music, but yesterday’s class had a substitute whose style I really like, so when Vandana put on a DVD, I trusted enought that I was pretty certain it would help enhance the practice. It did. But it wasn’t until later in the practice when we were doing some final twists before Sivasana that it really took me to another place. We were in Supta Padangusthasana, just breathing and letting the body surrender slightly to the challenging practice we had done, when, from the CD player behind me, I heard “Om Gum Ganapatayei Namaha” being repeated from an artist whose voice was so soothing and so pure that I felt my heart open even more — and that after a lot of heart openers that we’d just completed. Each is repeated 108 times. You may not find yourself dancing down the hallway but you won’t fall asleep either. Personally, I’ve found myself breathing more, slowing down and finding strength to do things I don’t really want to do. For anyone looking to add some calming sounds to their day or their practice, or a voice to chant along with, I highly recommend checking out their collection.